Being married for almost six years now is indeed an achievement. I know that we still have lots to deal with, but with God's grace I'm confident that we will be able to overcome anything. There were times that we both want to give up, then we paused, calmed ourselves, talked and realized that we can still patch things up. At times, we both feel tired of the same arguments and tend to guard our hearts from giving our love as a whole to avoid disappointments and we put boundaries between each other. Yes, it lessen the disappointments, but it also limits our happiness and makes our relationship dull. 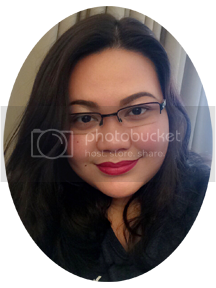 I would say that my husband is a good man - generous, loving, he always cheers me up, cleans our house, cooks if he have time, do the laundry most of the time, spoiled me in every way. But like any other couples, a good communication is something we both have to work on. We both have something to learn in expressing ourselves and how to deal with it - verbally, emotionally and physically. Sometimes, the real problem is not what we have said but how we said it. We also need to be sensitive enough to understand what are the unspoken feelings. I guess, if you really know your spouse it will be easy to comprehend. But sure enough, there were times we really can't decode such, and the best option is to open-up and listen. Listen not to have something to answer back but listen to understand. The "spark" is almost not there after so many arguments and disappointments. But looking deeper, the "spark" is still there, but it is something we have to work-on just like so many other things that we have to learn in a relationship. I am not an expert but I am sure that for marriage to work, both husband and wife should agree to stay together and humbly work-on to understand each other. Recently, we watched for the nth time the Fireproof movie. It is a Christian movie about keeping the marriage. 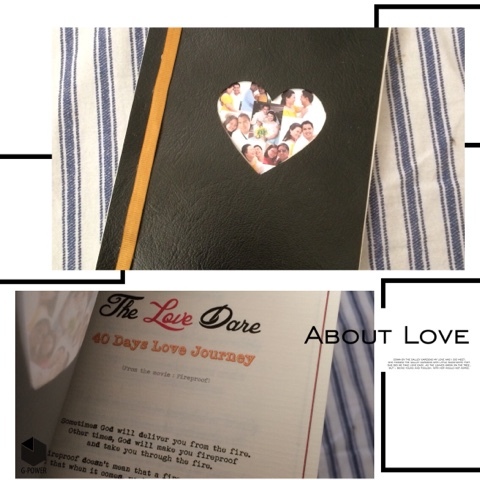 There is this Love Dare notebook that the husband in the movie used as a guide on how to rekindle the love and learn the worth of their marriage. I googled a copy of the Love Dare notebook, printed and gave it to my husband. I also kept a copy in my desktop so we both have something to guide us. ***In a nutshell: Always give your 101% best in your marriage. Good communication and taking action are some of the best ingredients of a flavorful togetherness. Small gestures of love and kindness, humility, openness, and continuously getting to know your spouse will surely add up in keeping the "spark" alive. And God being in the center of your relationship, you're both assured that you will be together in love. Indeed it will take time and extra effort to polish the relationship but it will surely be worth it.